The Queen, along with other members of the Royal Family, attended the christening of Princess Charlotte of Cambridge at St. Mary Magdalene Church, Sandringham. For more: Telegraph live updates, Telegraph gallery. We will be covering this event tomorrow on the other blog, but over here, we'll cover the interests of this blog (that would be the jewels of The Queen and The Duchess of Cornwall, in case you hadn't picked up on that). The Queen selected the Gold Filigree Brooch(Singapore Peranakan Diamond Jubilee Brooch) to go with her pale pink outfit, and I think this is my favorite appearance of this brooch yet - light, fresh, and summery! Perfect for the christening of a great-granddaughter. This brooch first appeared in 2012 and though we don't know anything about its history, we've seen it several times since. Update: It was a gift from Singapore, turned into a personal favorite. The Duchess of Cornwall paired her Everyday Pearl Earrings with her Pearl Four Strand choker with Large Diamond Clasp - a frequent selection for special occasions - and layered that over the small "C" charm chain she's been wearing with everything lately. Also, The Queen and The Duke of Edinburgh attended Sunday service at Sandringham earlier (they were not arriving for the christening itself here, despite what the caption the tweet below says). 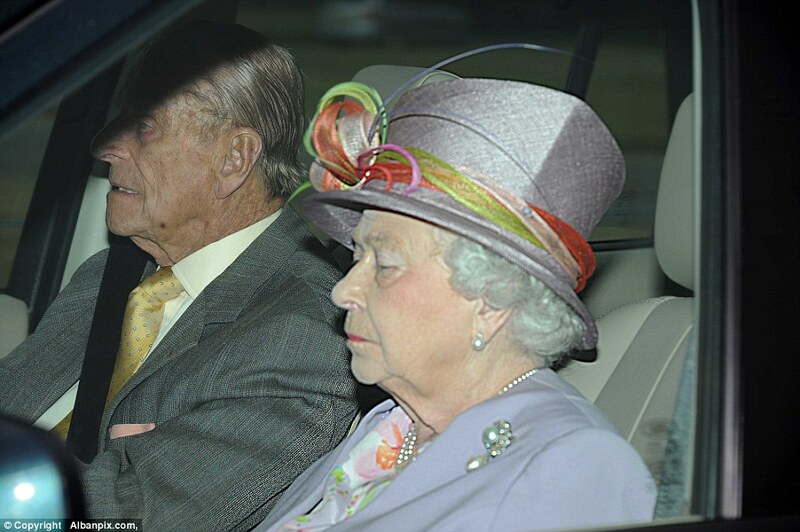 Not seen in this snap (but seen elsewhere), The Queen was wearing the Cambridge Pearl Pendant Brooch. Again, stay tuned tomorrow at the other blog for coverage of the rest of the event.